Posted by admin on Oct 6, 2015 in Featured | Comments Off on Do you having hiring Myopia? Home » Featured » Do you having hiring Myopia? 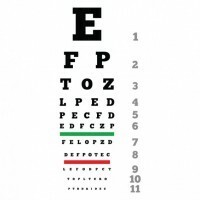 A condition that many employers often suffer from is hiring myopia. That is, a nearsightedness when it comes to hiring employees. They often just think of employees for near and short term goals. They search for key words and look for some latest technology skill that the employee has, without considering the whole employee. This may work for short term contracts but is detrimental to hiring full time employees. The average time that someone looks at a resume is probably 6 to 10 seconds, some say it’s as high as 40, but that’s after the initial 6 to 10 seconds glance catches someone’s attention. This is compounded by automated resume scanning engines that are commonly used to find resumes and process candidate resumes using selected keywords. The problem with this approach is that technologies come and go and companies should want their employees to stick around and grow with the organization. It is important to take a long term view at how the person deals with technology, how the person deals with people, and how they have grown throughout their career. When interviewing candidates , I often ask them about previous projects and how they approach learning new technologies. We also look for patterns of learning and successfully applying new technologies. Some companies such as FaceBook employ hackathons to attract talented candidates , but we find simply asking candidates to explain past projects and delving into the details will yield people with optimum balance of coding and communication skills. Also be sure to look internally at your own employees and let them grow instead holding them in the same task over and over again. Keep a database of your employees current resumes and skills on file. Do not think just because that is what they’ve always done, and they don’t have experience or aptitude for the new project or position. This practice often causes your most motivated employees to leave. A culture of development, and training, and growth, should be inherent to your organization and will have the best long term benefits.